"Two years into the Revolutionary War, a surgeon general in the Continental Army issued a pamphlet on nutrition. "The diet of soldiers should consist chiefly of vegetables," Dr. Benjamin Rush wrote in Directions for Preserving the Health of Soldiers. "The nature of their duty, as well as their former habits of life, require it." It was routine, in Rush's time, for soldiers to consume a "pound or two of flesh in a day." So, in 1777, over 230 years ago, soldiers were eating a "pound or two of flesh." I'll assume that doesn't include eggs or dairy products. That's a lot of animal food. I wonder what chronic diseases those soldiers suffered later in life, if they enjoyed a retirement at all. "Red and processed meat probably increases the risk of bowel cancer and people who eat around 90g or more should consider cutting down to reduce their risk." They say cutting back to 70 g/day (2.5 ounces) could help reduce cancer risk without impacting "the proportion of the adult population with low iron intakes." How much is 2.5 ounces? About the size of a large egg. ________The photo is from Shorpy Historic Photo Archive. It's dated 1915, about 138 years after the time of Dr. Rush. I love cooking photos. Thanks for the article to BL who always sends good links. Even just 50 years ago food was probably quite a bit different than today. I wouldn’t make too much out of this. In the Western world, a vegetable diet for health was an idea that certainly predates the Revolutionary War. I hesitate to call it vegetarianism, since the word wasn’t used back then, but the idea had been around since antiquity. Around the time of the Age of Discovery (15th--17th century) Europe gained more substantial contact with India, and Brahmin, Pythagorean or vegetable diets had slowly worked it’s way into cultural imagination of the elite few who could read and write and ponder such things, and were associated, without much solid evidence, with health, naturalness, and longevity. The data to support vegetable diets for health were speculative, anecdotal, and wrapped up in all sorts of other notions and assumptions that are questionable by today’s standards of evidence. Just because a singular doctor back then published a pamphlet advising soldiers to eat vegetables, doesn’t mean that his claims were backed by any rigorous studies. A doctor then could easily have said to eat lots of meat to promote health, and it would hold just as much credibility, in other works, not much. The scientific methodology just wasn’t sound enough for us to take such conclusions at face value now. We have far more data today, and it’s still not clear. By clear I mean like how no one debates the risks of smoking, but formulations of diet are still hotly contested. “Some old doctor or diet guru says eat x,y,z for ultimate health,” just doesn’t go very far. They we’ll may have been other issues the doctor was addressing, reminding solders to eat vegetables to reduce scurvy, or help digestion, etc. 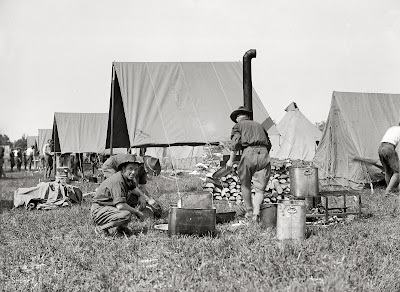 Those solder’s would have eaten a fairly monotonous diet, hard dry bread, heavily salted meat, dried beans and rum, and some stretches without any rations at all. Which is worse? The meat? The bread? The rum? 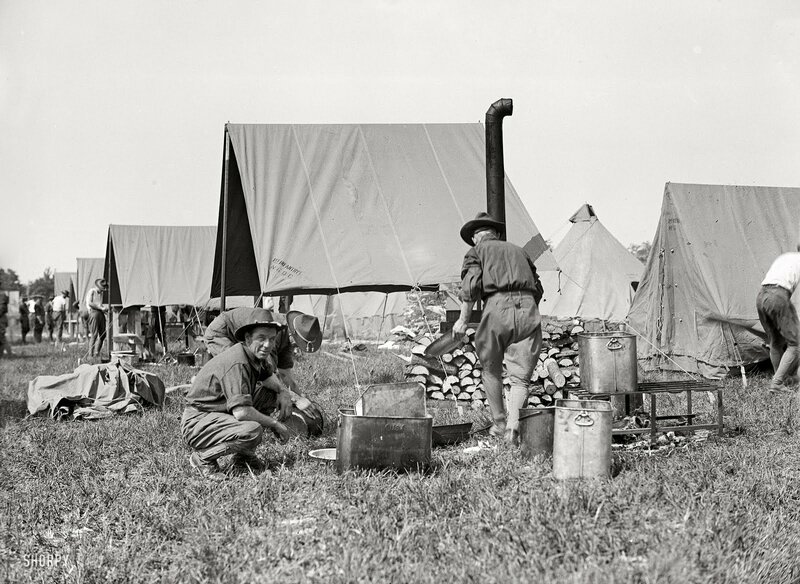 The periods of starvation when troops were cut off from rations? The capsules of mercury that Dr. Rush prescribed to soldiers as laxatives? The combination of all of all such factors? Dr. Benjamin Rush wasn’t just some forgotten doctor who issued a single pamphlet, nor was he a small bit actor in the events of the times, we know plenty about him. This Wikipedia entry is as good a place to start as any. This American Heritage entry is a must read (and perhaps you don’t have to second guess every sentence as much as Wikipedia). I would quote you a few lines, buts’ it’s hard to know where to even begin or end. It’s all relevant. He advocated a vegetable diet, but then he fits a certain profile. Educated. Affiliated within a certain religious spectrum. He advocated temperance of alcohol and condemned tobacco use. He was an abolitionist against slavery. But he had all sorts of ideas and practices that we would regard as crazy today. Some ideas, both inside and outside medicine, he got sort of right, but often not for the right reasons, or he was just going with his gut. The best we can say is that more often than not, his intuitions were in the right direction, but good intentions don’t fill-peer reviewed journals. That Slate article cherry picked a reference to make a point. Remember to keep the contexts of history in mind when passing judgment on historical doctors. It’s not just Dr. Rush who had crazy ideas; the culture at large had all sorts of ideas, biases, and cultural attitudes to contend with not to mention the abysmal state of Western medicine during those times. Perhaps even more importantly, remember to extend this historical understanding even to today as there are a whole hosts of notions related to health that are more derived from our cultural milieu than anything else and these ideas will rightly change over time. Our descendants will most assuredly scratch their heads and even laugh at some of the ideas we hold as true today. There are two milestones regarding the adoption of technology. There’s the initial concept, or first invention, and then there is widespread adoption. For items like the light bulb and the telephone, we mark the time when Edison invented them, but we can also acknowledge transitions where widespread use of the technology took hold. There is a sense though, that after the invention, the genie is out of the bottle, and wider implementation is inevitable. The prevalent storyline for feed-lots weaves a narrative around a post World War II (1945) adoption as the starting point for such practices, as if we began growing corn because we had all this leftover chemical fertilizer and had to figure out some purpose for the corn, so someone got the idea to feed it to cattle. That’s absurd. A constant in historical periodicals running through the decades spanning the 1700s to the 1900s like a Dow Jones stock index was the posted market price of corn-fed steer. Even George Washington would know what intended purpose of all that 1940s corn was, the desire to produce more of it was inevitable.